DVD every time you want to use the features. 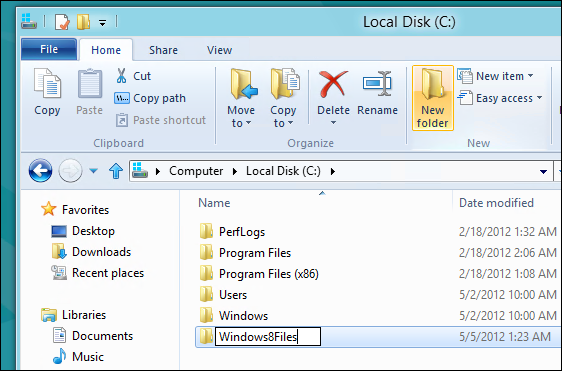 Here’s how to do it without the DVD. 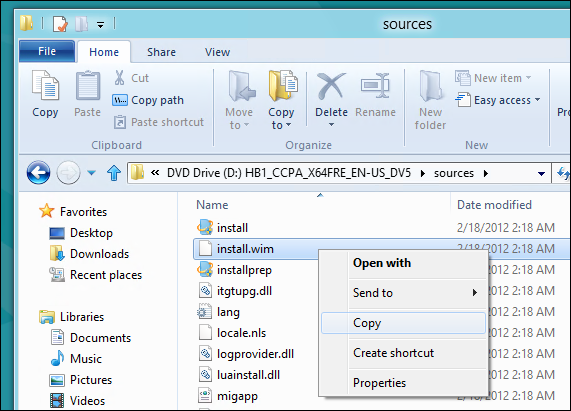 Copy the install.wim file off your DVD into the Windows8Files folder we just created. 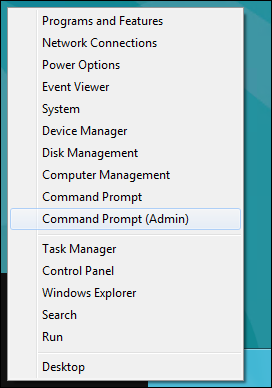 Next we need to launch and administrative command prompt, so move your mouse to the bottom left of your screen and right-click then select Command Prompt (admin) from the context menu. 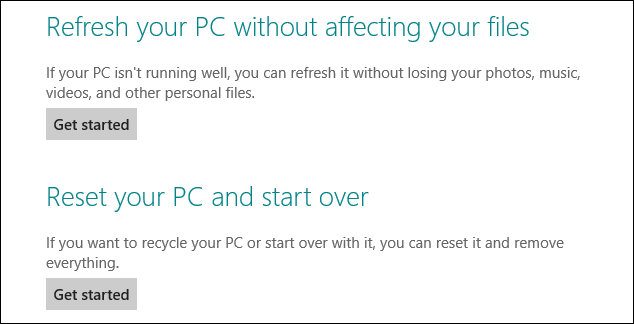 Now you can refresh or reset you PC as normal, except it wont ask you to insert your DVD.